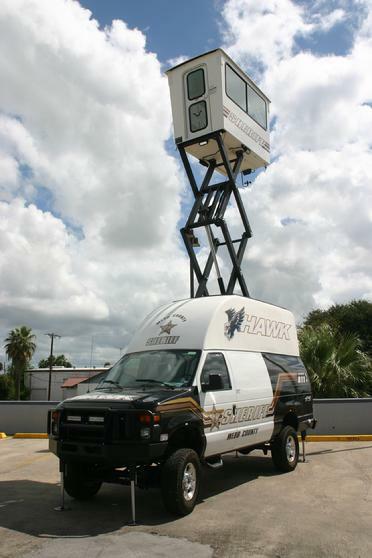 The Mobile Utility Surveillance Tower (MUST) from Terrahawk LLC combines rapid deployment and mobile flexibility to respond to any emergency or surveillance requirement. The MUST vehicle raises a tower and climate-controlled capsule 25 feet or higher for fast, sure response to security threats. 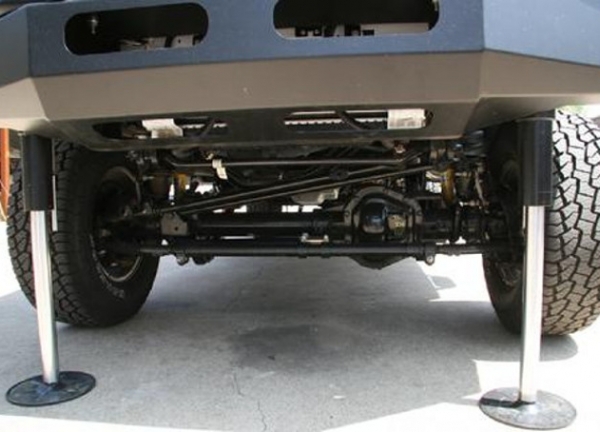 At the heart of MUST is a 4-point automatic self-leveling hydraulic stabilization system engineered and manufactured by Best Metal Products. An on-board PLC operates the scissor mechanism, stabilizers and security features. The capsule accommodates two persons and has an elevated line of sight that facilitates crowd management, and acts as a ground force multiplier. The Terrahawk MUST was designed for Federal Emergency Management, harbor and port authority surveillance, US Customs Applications, and crime scene investigations. MUST is one of hundreds of “mission critical” applications for Best hydraulic technology. In addition to government and military applications, it is a valuable tool for securing entertainment venues, power stations, refineries, and water treatment plants.